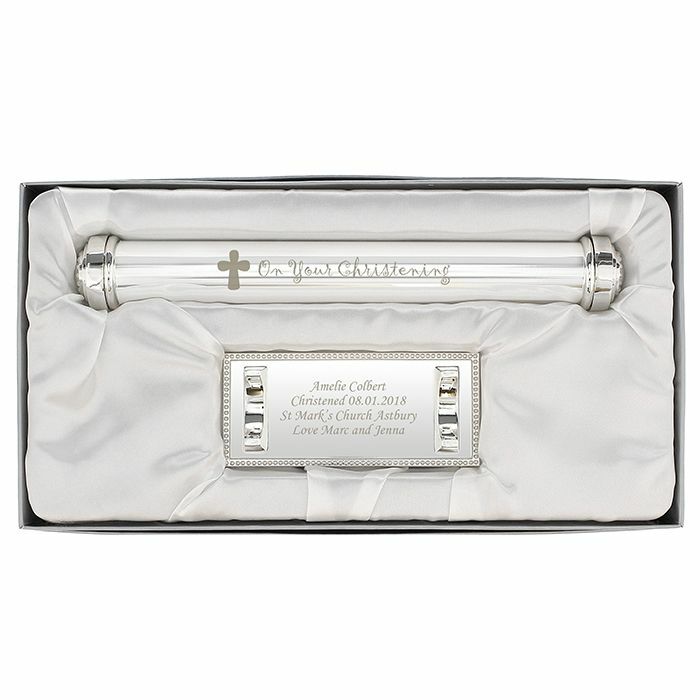 Personalise this gorgeous silver plated 'Christening Cross' certificate holder. 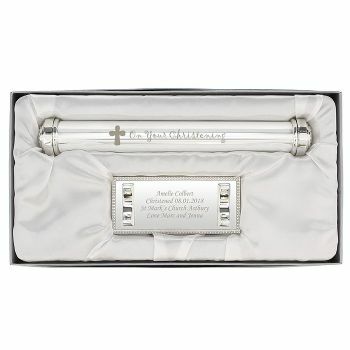 This gorgeous silver plated 'Christening Cross' certificate holder features a cute cross motif design. Personalise the stand with any message over 4 lines and up to 25 characters per line. Ideal for Christening and new borns.